From cafes to cabarets the Connecticut nightlife is constantly a fun atmostphere. The CT nightlife is full of activites and events that will keep you going all night long!You can go out and hear live music or create your own at a karoke bar! Make sure to check our guide to a good time and enjoy your nightlife in Connecticut. 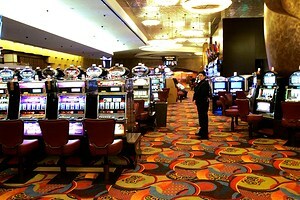 Its time to win big and go check out one of the casinos in Connecticut! The CT casinos offer anything from bars to personal entertainment.Check out our guide to the top casinos in CT! The lounges in CT have a peaceful vibe in which you can just relax so grab a drink and have an amazing time! Make sure to check out our list of serene Connecticut lounges!